You all know the ratings methods by now – diaries, phone calls and People Meters. But let’s not forget the Audimeter. The Audimeter. 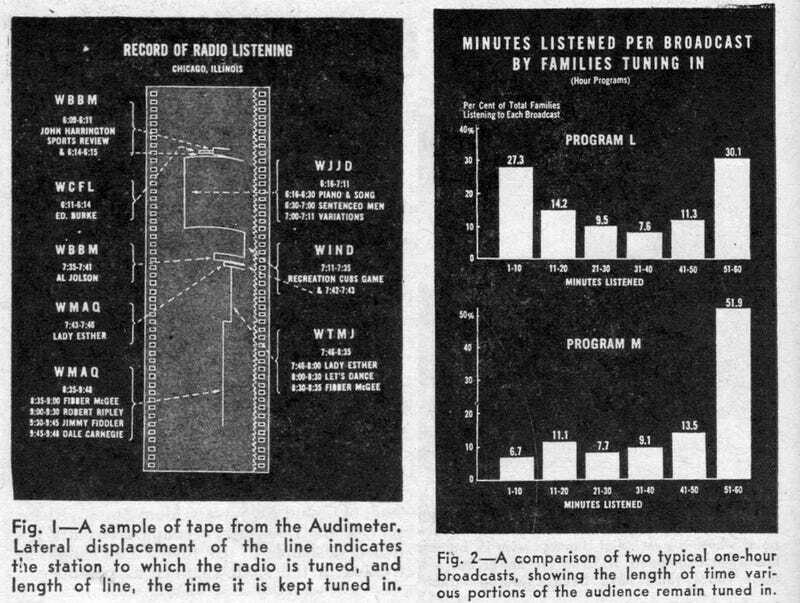 It was invented in the mid-30s and if you ever wondered how they gauged the ratings back when radio was young and broadcasting dramas, comedies and soap operas, this was it.